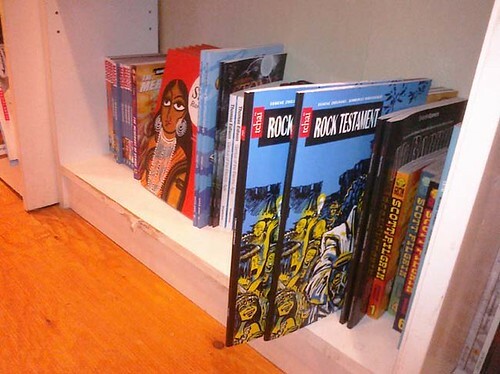 Rock Testament at Another Story Book Shop display, a photo by ezhilinsky on Flickr. Dropping by Another Story Book Shop last week and guess what – our latest book Rock Testament on display! Just next to Scott Pilgrim no less! Hooray! Yes, we did it! We have reprinted our hand made book in order to make it more affordable to the readers (finally!). Now – it’s NOT hand made anymore and WITH lamination! 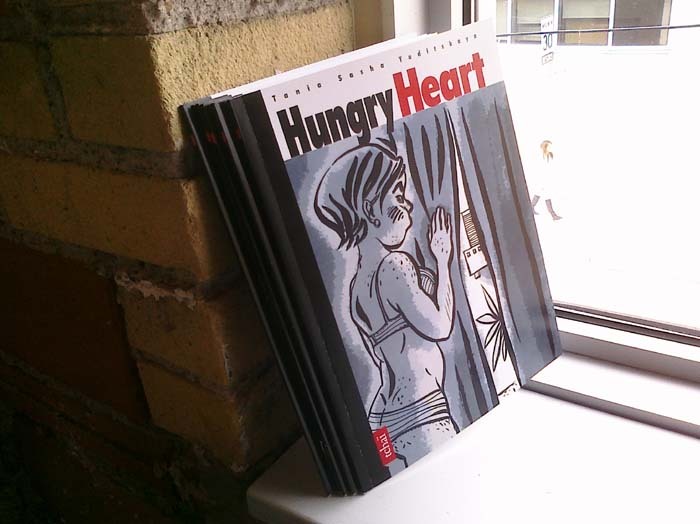 “Hungry Heart” is a modern moral cautionary tale turned psycho-thriller by Tatiana Yuditskaya, co-founder Tchai Publishing. The story’s set in modern day Canada, Israel and the blogosphere. It’s a story about Olga who lives in a small town. She knows, though, that she deserves more. By wandering through the blogosphere, she meets a man who she believes will become her “ticket to glamour”. It also has 2 alternative endings for the reader to choose from. Compare to our old 2007 hand made book it’s just 14$ – cheap! Apparently available at our Etsy shop only. Com-on! We just got it from the print house yesterday! And it’s all happened only with the huge help of Guerilla Printing heroes! Thank you, guys, for your excellent job!